After a solid 9 hours sleep we departed for the final day of riding from Rookhope. The official route is often closed during shooting season and an on-road alternative must be taken. Fortunately for us, there is no shooting on a Sunday and so after a hard 1 mile climb up a rocky track (with tired legs and cold muscles) we emerged onto beautiful moorland with just the occasional grouse cackle to break the silence and the morning’s mist swirling in the valley below. 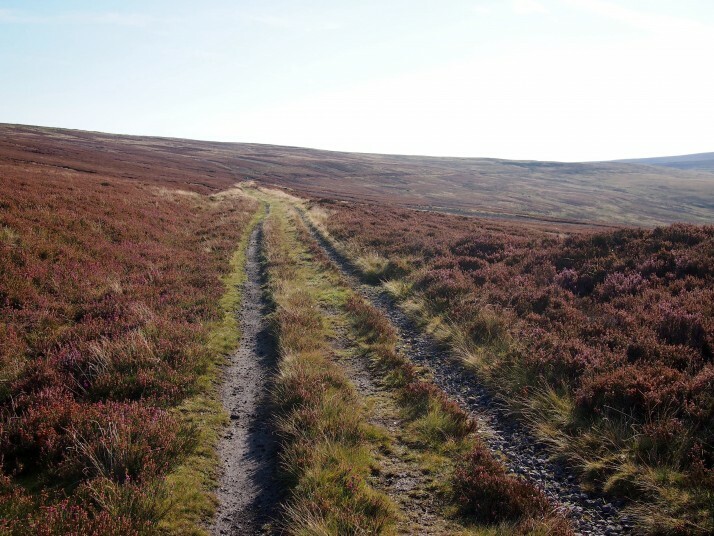 The four miles of moorland path ended at Parkhead Station from where we blasted downhill along the Waskerley Way path and it wasn’t long before we arrived at the old smelt wagon at Lydgett’s Junction in Consett and started along paths well known to us from our training rides. The Derwent Valley path has some great downhills through forest and over viaducts before emerging on the south side of the River Tyne. We’d arranged to meet family in Tynemouth for celebratory fish and chips so by the time we reached Newcastle, lunch was overdue and despite our best efforts at refueling with biscuits and jelly babies (pro-tip, thanks Jo!) we were getting tired and the last few miles were a bit of a struggle. 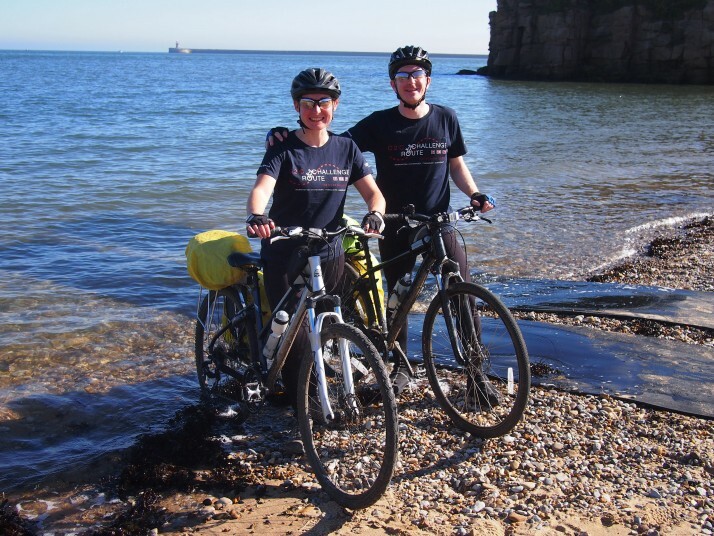 We had a real sense of achievement as we crested the cliff near Tynemouth Priory before descending to the beach for the obligatory photo with the back wheel in the sea. 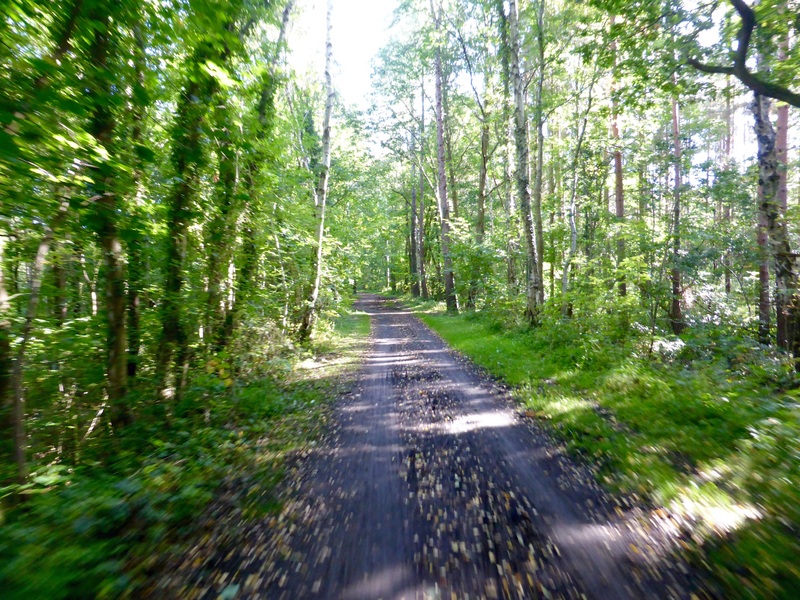 This entry was posted in Experiences and tagged Bicycle, C2C, G2C2C, UK on September 27, 2015 by Julie. Thanks :). The jelly babies got us through several hard sections during the week! A glass of ‘fizz’ and Fish and Chips an added bonus to celebrate your success. Thanks Brian :) Enjoy Ireland, we love it over there. We’ve got a short trip to Prague planned for December but other than that I think we’ll be pretty static for a while now so if you find yourself in the North of England definitely let us know – it would be great to catch up. Take care and keep in touch. What is 32 + 19 ?